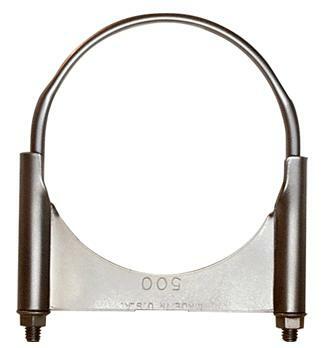 Due to its superior sealability and versatility the U-Series is our most popular style clamp. With the new 2007 emission standards it is more important than ever to use clamps that will get the job done. Developed and used for over 48 years the best new clamp on the market is the one you have been using for decades. These clamps provide a complete 360 deg. 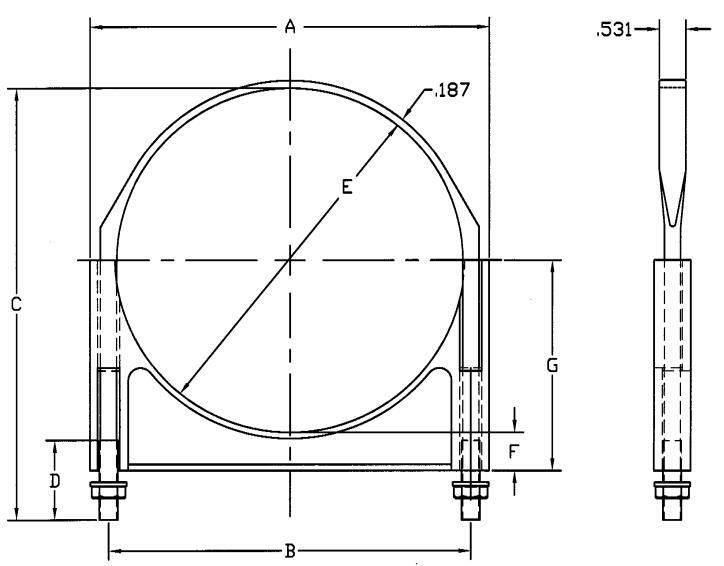 heavy duty seal to surpass all of your needs. The U-Series is available in a variety of sizes,finishes and materials including 304 Stainless Steel. 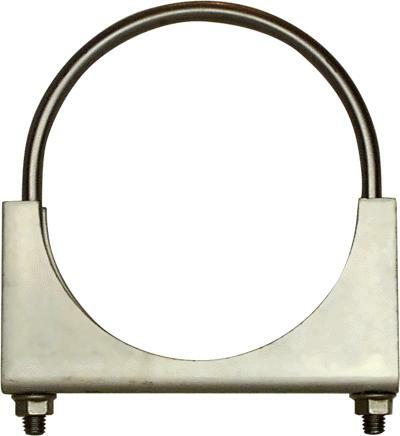 This double edge open end clamp provides superior strength and sealability. The UDO is a very strong alternative to our SD Series when the closure clips are not required for the intended application. The UDO-Series is available in a variety of sizes, finishes and materials including 304 Stainless Steel on certain sizes. This double edge closed end clamp provides maximum strength by restricting the saddle from expanding by either welding a clip on the open ends or by an exclusive Clamps, Inc. design of rolling a tab over. Clamps, Inc. provides the tab over feature in our most popular 4” and 5” saddles which eliminates the possibility of having a clip come off and jeopardize the integrity of the clamp. The UD-Series is available in a variety of sizes and finishes. 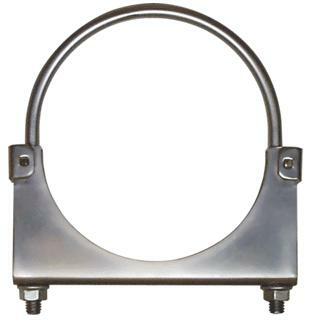 This style clamp is for larger diameter applications and has a cast aluminum saddle. 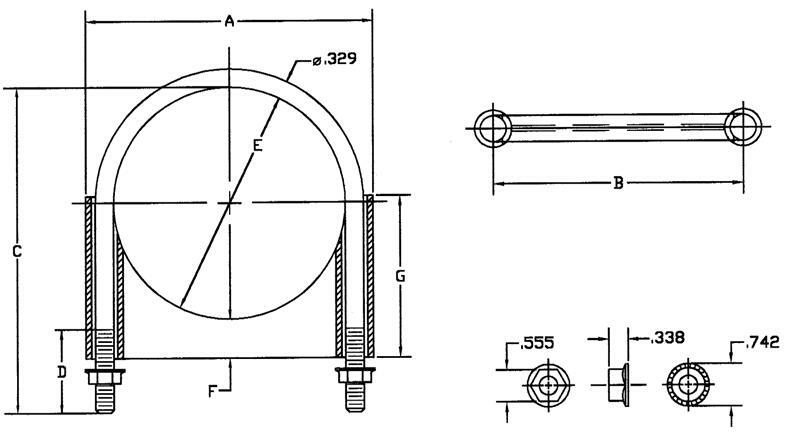 with a flattened 3/8” U-bolt and serrated flange nuts. 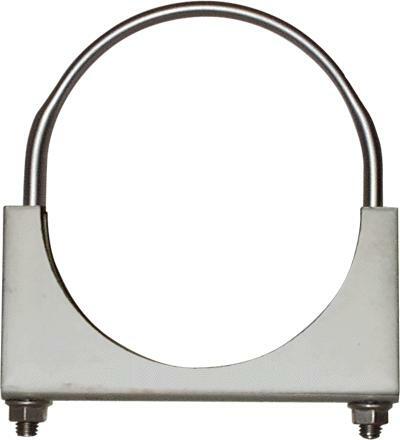 This clamp is bold and uniquely designed and is available in either 7” or 8”. It has a large base saddle that does a great job of sealing and along with the flattened U-bolt it is hard to beat. 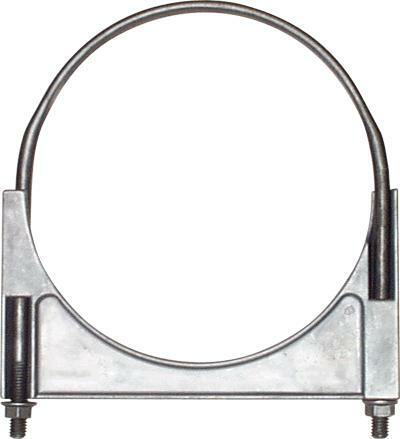 This double edge open end clamp provides superior strength and sealability. The UFDO is a very strong alternative to our SD-Series when the closure clips are not required for the intended application. 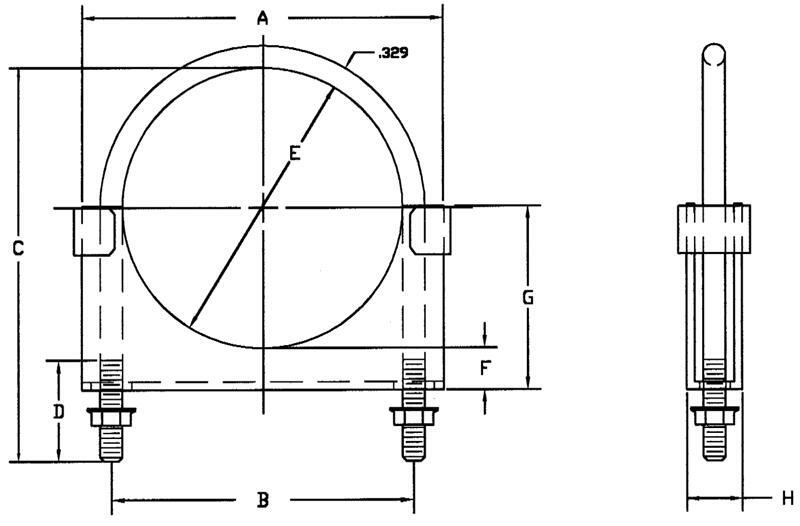 This particular clamp utilizes a flat U-bolt instead of round for applications where space is at a minimum. The UFDO-Series is available in a variety of sizes, finishes and materials including 304 Stainless Steel on certain sizes. 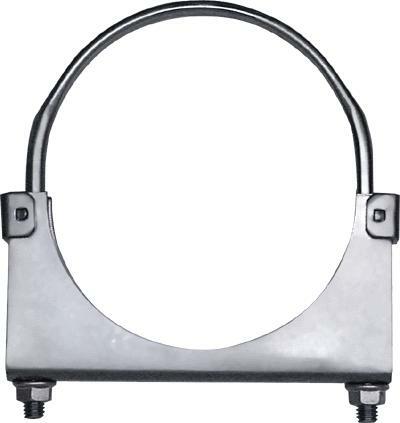 This double edge closed end clamp provides maximum strength by restricting the saddle from expanding by either welding a clip on the open ends or by an exclusive Clamps, Inc. design of rolling a tab over. 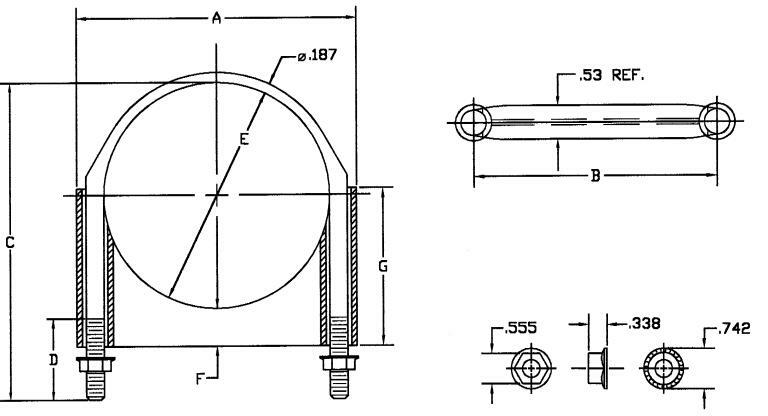 Clamps, Inc. provides the tab over feature in our most popular 4” and 5” saddles which eliminates the possibility of having a clip come off and jeopardize the integrity of the clamp. 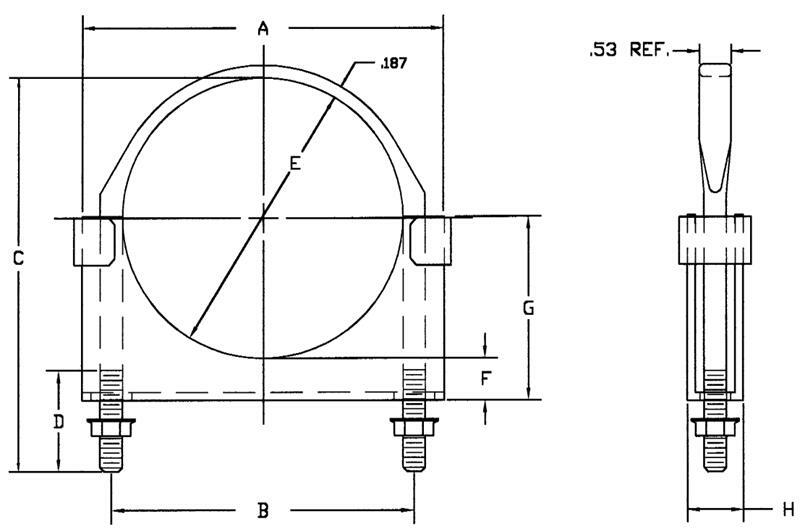 This particular clamp utilizes a flat U-bolt instead of round for applications where space is at a minimum. The UFD-Series is available in a variety of sizes and finishes. 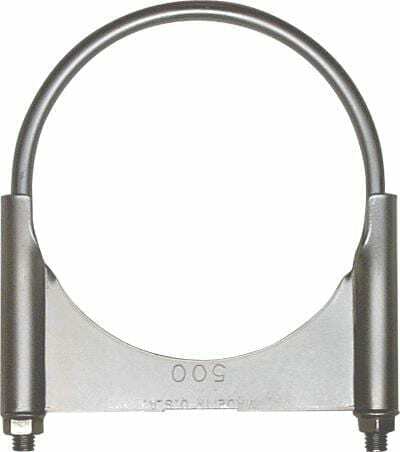 Due to its superior sealability and versatility the U-Series is our most popular style clamp. With the new 2007 emission standards it is more important than ever to use clamps that will get the job done. Developed and used for over 48 years the best new clamp on the market is the one you have been using for decades. These clamps provide a complete 360 deg. heavy duty seal to surpass all of your needs. 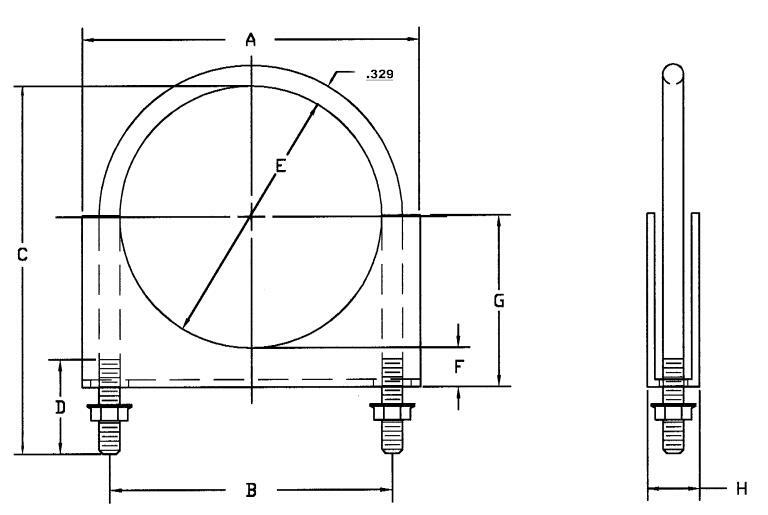 This particular clamp utilizes a flat U-bolt instead of round for applications where space is at a minimum. 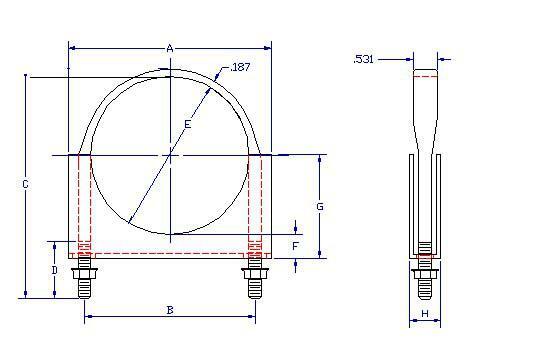 The UF-Series is available in a variety of sizes, finishes and materials including 304 Stainless Steel on certain sizes.